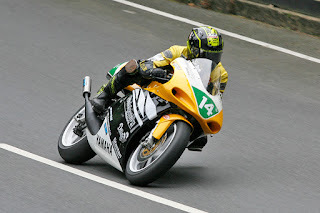 Isle of Man TT legend, Dan Sayle will make his KDM Hire Cookstown 100 debut in ten days time. The 8 times TT winner as a sidecar ballast, along with three Manx Grand Prix wins, Sayle will contest the Moto 3 class on his NSF 250 Honda. 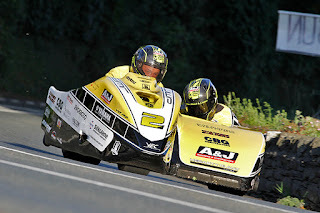 Sayle, who also acted as passenger for Michael Dunlop in his couple of sidecar outings has a wealth of road race knowledge, having also competed at the Southern 100 and Classic TT. Sayles entry in the Moto 3 class will add to the quality entry for this race, which will see Adam McLean make his Moto 3 debut on board the JSR 250 Honda, along with similarly mounted Paul Robinson, throwing caution to the wind will be the two stroke machines of Derek McGee (Joeys Bar 125 Honda),l ocal rider Nigel Moore and Austrian newcomer Chris Eder on his 125 FRR/KTM. The Moto 3 class is just one of the 19 races on the race card for the two day event, which starts on Friday 27th April, with Roads Closing at 12 noon. William Dunlop Temple Golf Club/Caffery Racing,McAdoo Racings Adam McLean and James Cowton, along with exciting newcomers, New Zealand's Daniel Mettam, European Supermoto championship leader, Davey Todd and Manx Grand Prix winner Darren Cooper are just a few of the entries received.